DASH acronym stands for Dietary Approaches to Stop Hypertension. Dietary changes are always a hard decision, even if it’s just because you want to fit into your high school jeans or look good for a wedding party. The situation is completely different when you know that changing of your dietary habits is a prerequisite to gain back your health and life quality. High blood pressure gives you a good reason to start considering some radical modifications in your daily routine. Sodium intake, dietary fibers and minerals make the most important aspects of a balanced diet for healthy blood pressure. High blood pressure can be prevented or even lowered, by following the Dietary Approaches to Stop Hypertension (DASH) plan. DASH eating plan includes lifestyle changes and dietary revisions that will result in improved blood pressure readings in about 2 weeks of altering your nutritional habits. These changes will be later proven beneficial on your LDL cholesterol values and body weight as well. When it comes to salt intake keep in mind two numbers: 2,300mg/day and 1,500mg/day. The first number stands for the highest amount recommended by the American Heart Association and the second is what your daily target of sodium intake must be. In case that you have increased sodium requirements (if you are a performing athlete for example), discuss with your doctor about what applies to you. In US daily consumption of sodium has been estimated to be at least 3,400mg/day, because 75% of Americans consume pre packed, processed or restaurant food which has increased content in sodium. In this amount is not included the table salt that may be added. How much sodium is found in table salt? How much sodium is contained in prepacked and processed foods? Just as well, in almost all of these preparations, there is a Nutrition Facts label which indicates the contained amount of sodium. 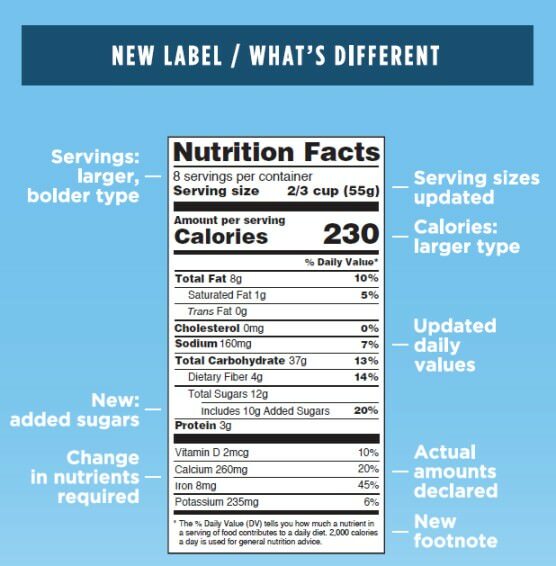 Remember that the sodium listed on those labels equals the amount for one portion (serving size). For example, if a package contains 2 portions of food this means that if you are supposed to eat both of them you ingest 2 times the quantity of sodium written on the label. Whole wheat bread: 260-400mg sodium per slice. Breakfast cereals: 170-200mg sodium per serving. Cottage cheese: 400mg sodium per 1/2 cup service. Nut butter: 125mg sodium in 2 tablespoons. Tomato sauce (canned): as much as 670mg sodium per serving. The ingested sodium is processed by your kidneys. If it is too much your kidneys will be not be able to handle it and it will begin to build up in your blood, leading to temporary and later permanent increases in your blood pressure. Drink enough water to boost your kidney function and to prevent kidney stone formation as salt intake can contribute to this condition also. If you decide to reduce your sodium intake keep in mind that in the beginning every food may feel tasteless. That means that you have to give some time to your taste buds to accommodate and regain the original taste of foods. By the time you may deal with salt cravings. These will soon disappear as long as you make a rational use of sodium. To avoid frequent salt cravings, try to reduce gradually the amount of sodium in your diet. 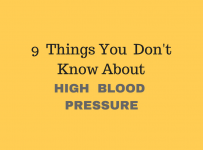 A substantial reduction in pressure fluctuations will occur soon after you start a low-sodium diet, especially if you are diabetic or suffer from atherosclerosis. In such conditions,arteries have become very susceptible to sodium-related blood pressure changes, so you will notice the difference. If you’re eating a healthy diet, it is unlikely to suffer from mineral insufficiency. But the consumption of processed and canned foods, as well as certain medications and diseases, could lead to certain mineral deficiencies. According to American Health Association a healthy diet usually provides the recommended amount of magnesium that is 368mg /day. 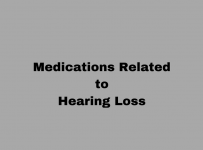 It can be found in whole grains, beans, nuts and green vegetables. After ingestion your small intestine will absorb the amount you need and any excess will be excreted. Dietary supplements are recommended if you have deficiency or reduced intake. Moreover, if you suffer from kidney disease, better consult your doctor before use. How a magnesium deficiency could develop? Standard American diet is considered poor in magnesium. Excess of caffeine and soda increase magnesium excretion. Chronic stress may deplete magnesium bone storage. Calcium supplements could interfere with magnesium blood levels. A proper ratio of calcium:magnesium must be maintained for optimal absorption of calcium. Potassium is beneficial to blood pressure for two reasons: First it lessens the effect of sodium in blood by constantly exchanging itself for sodium. Second it maintains the integrity of blood vessel wall. It’s advised that you ingest in 4,700mg of potassium per day. Foods reach in potassium include: bananas, baked potatoes with skin, prune juice, dried plums and orange juice. Potassium supplementation will be only recommended by your doctor in case that you suffer from potassium deficiency. This is usually the result of certain diseases. Kidney disease: In case of renal failure the daily amount of potassium must be strictly adjusted to kidney ability to handle it. Excess sweating: Sweat contains large amount of electrolytes including potassium. Specific diuretics (water pills) that promote potassium elimination from the organism. Oral corticosteroids: drugs that are used to treat certain autoimmune conditions and inflammatory diseases and may affect potassium levels. Calcium is an important regulator of blood pressure because it helps blood vessels wall tighten and relax whenever is needed. It is found in decent amounts in dairy products, dark, leafy greens and fish (such as canned salmon and sardines). The daily recommendation for calcium intake is 1000-1200mg/day. The average American diet contains about 700mg calcium. There is much controversy if calcium dietary supplements must be used to make up the difference. 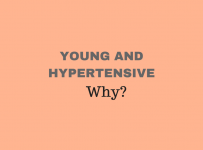 Recent studies confirm that an increase in calcium intake has reduced both systolic and diastolic blood pressure in young healthy people, suggesting a role in the prevention of hypertension. However a biological mechanism explaining the relationship between calcium and blood pressure has not been fully confirmed. From the other hand there is much controversy considering the negative impact of calcium supplementation on cardiovascular system. Get your calcium mainly from food and (in case of increased requirements) from low-dose calcium supplements. There is strong evidence that increase in fiber intake contributes to decrease of both systolic and diastolic pressure components. Dietary fibers occur as either soluble or insoluble form and the recommended fiber intake is 20 – 35 grams per day for adults, or 10 – 13 grams for every 1,000 calories in the diet. Soluble fibers are found in barley and oats, apples an and legumes and has many benefits, including moderating blood glucose levels lowering cholesterol. Food apart from being a biological need makes up a good part of our social and family life and is closely related to our cultural and personal background and experiences. Sometimes dealing with a health condition that requires many dietary restrictions, could be really depressing. The key is to change your perspective. At first think of this task as the best and maybe the only thing you can do for yourself. From another point, healthy food could be very appealing to your taste, when properly cooked and nice presented. If you insist on food cheating, at least try to consume small amounts of what is prohibited. Any food consumed in small amounts could not cause much harm. 1. Avoid table salt including kosher salt and sea salt. All of them contain the same amount of sodium. 2. Fried vegetables are not better than French fries. Fried eggplants for example may absorb 4 times the amount of an equal portion of potatoes. Prefer baked food over fried food. 3. Do not use salad dressings. They contain a lot of salt and preservatives. Olive oil with vinegar is a better alternative. 5. Avoid pizza because it tends to be high in sodium. A slice of pepperoni pizza, for example, may contain 726 milligrams of sodium. 6. Pasta with vegetables, seafood, or fresh tomato sauce. 7. Fish, chicken and beef: All these types of meat, contain much protein. Recent studies confirm that increasing protein intake may actually help lower systolic blood pressure by more than 2 mmHg in comparison with intake of carbohydrates. Cottage cheese, 400mg sodium per 1/2 cup service. Canned tomato sauce as much as 670mg sodium per serving and enough sugar. Tortilla chips 8 pieces contain 120mg of sodium. Taco or fajita shell (either hard or soft) usually contains little sodium. It is the meat that contains the greater amount of sodium. Ask for a vegetarian taco filling if available. Sauces like soy, oyster, black bean and garlic sauce usually contain huge amount of sodium. Ask for less sauce in the preparation of your meal. Soups are usually prepared with much salt. Appetizers with less salt are spring rolls, lettuce wraps and steamed dumplings. Your guide to lowering high blood pressure with DASH – National Heart Lung and Blood Institute.